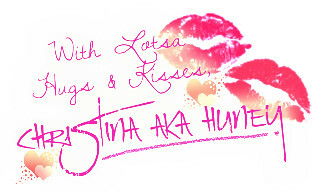 Cartoon Network fans! 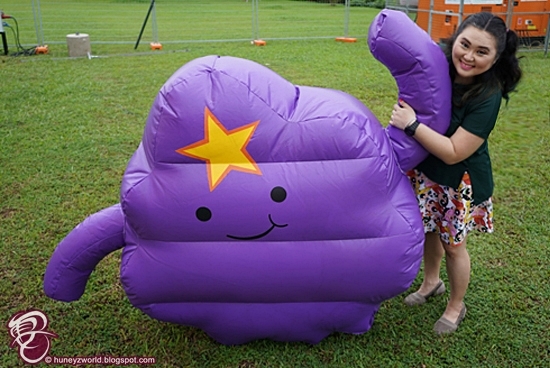 There's a new playground to hang out with your favourite characters this June School Holiday! Pan Pan, Grizzly, Ice Bear from We Bare Bears are joined with The Powerpuff Girls, Finn, Jake and friends from Adventure Time as well as Ben 10! 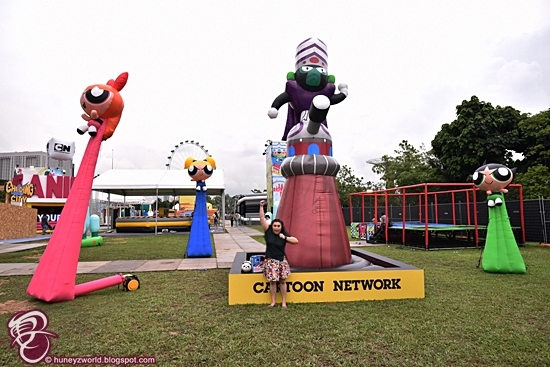 From Saturday 26 May to Sunday 10 June, Cartoon Network Animate Your Life will transform Gardens by the Bay’s Bayfront Plaza into a thriving world of cartoons. 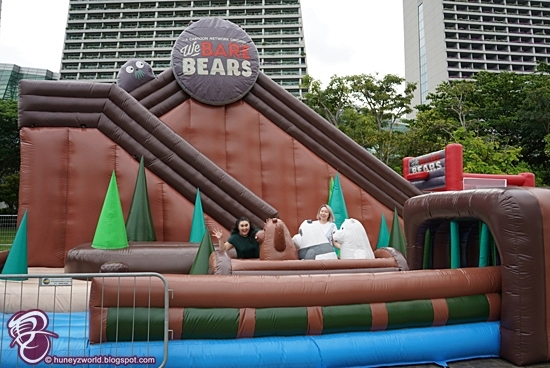 The festival will offer a fairground of fun inflatable obstacle courses, carnival games and creative workshops. 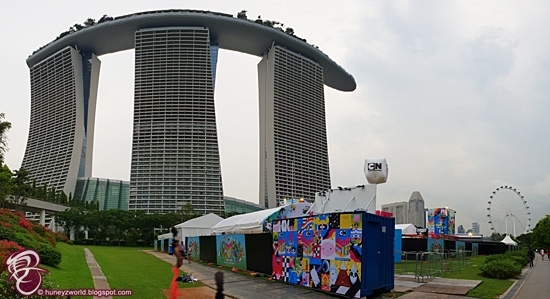 Huney'Z World was there a few days ago and recce the festival for the lowdown. 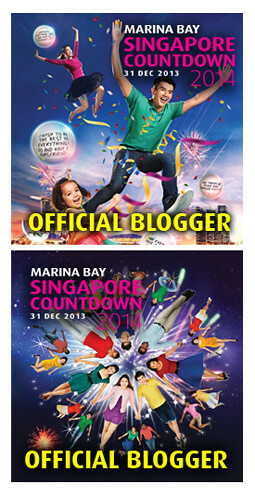 The festival is mainly separated into 4 different sections. 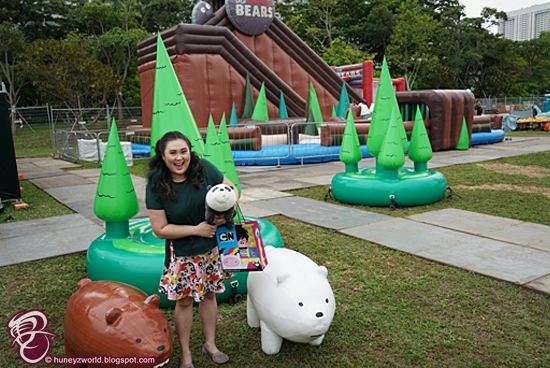 Townsville where The Powerpuff Girls hangout, Land of Ooo for the ultimate Adventure Time, Bear Cave in San Francisco to find the Bear Trio or hang out at the Ben 10 Boot Camp to train up with your favourite heroes. 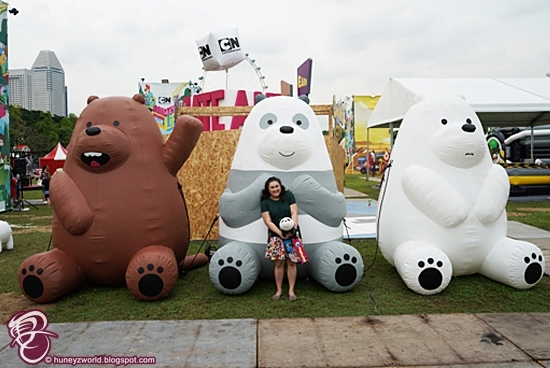 Entering the festival ground, we are already greeted by the adorable Ice Bear, Pan Pan and Grizzly. 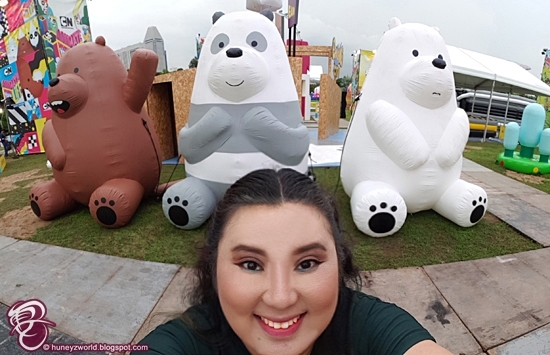 They are littered all over the festival grounds, you will definitely be taking endless selfies with them and if you get tired, why not have a break within the Bear Cave? 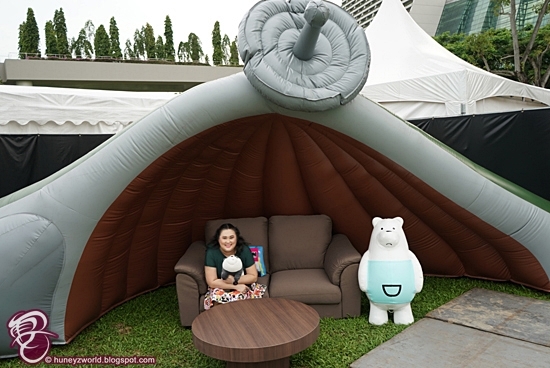 Charlie is also hidden within the mountains, spot him as you bounce around in the We Bare Bears Drop Lodge. 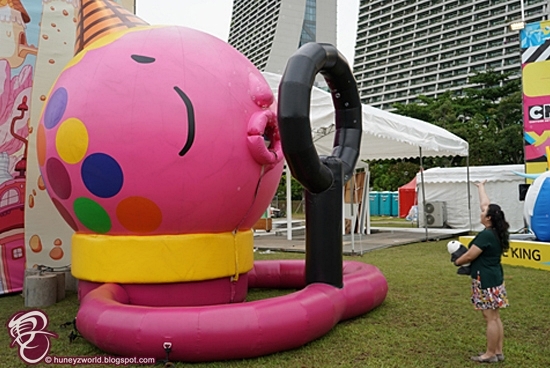 Join the brothers in the inflatable log ride or scale that mountain and slide down into a colourful ball-pit. 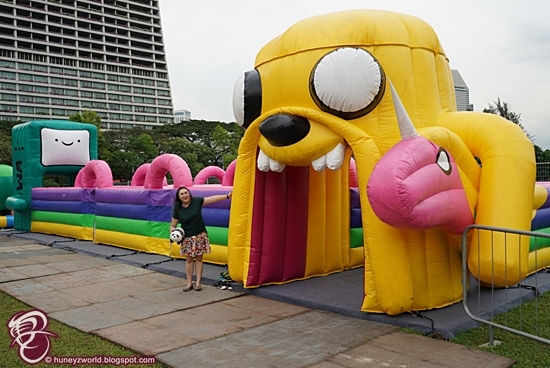 Next to the bears, you will find the Land of Ooo. 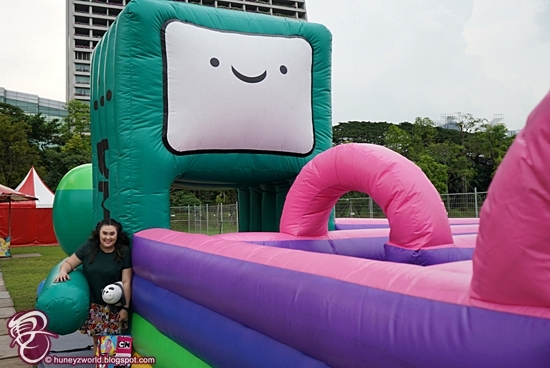 Finn, Jake, BMO, Lady Rainicorn, Ice King, Princess Bubblegum and even Lumpy Space Princess is here waiting for you to join them in the bubbly fun. 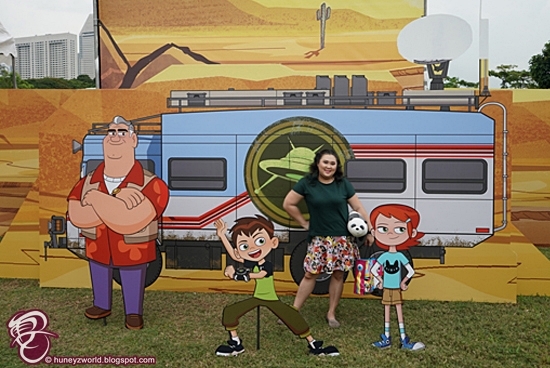 Going on, it’s Hero Time with Ben 10 and his family and friends. I'm not very familiar with this animation, but I bet the boys will have an amazing time joining Ben Tennyson in harnessing the power of the Omnitrix. 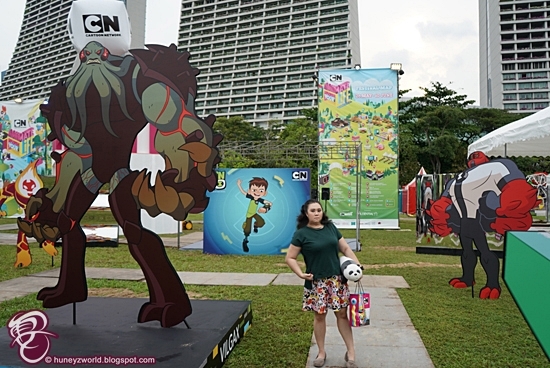 Ben 10's Aliens like Gax, Fourarms, Heatblast and Cannonbolt have all gathered to help you through the journey and all ready for group photos. But beware of the trick mirrors set up around, don't get lost in those quirky reflections! Lastly, it's every little girl's favourite power trio as you enter the famous city of Townsville. 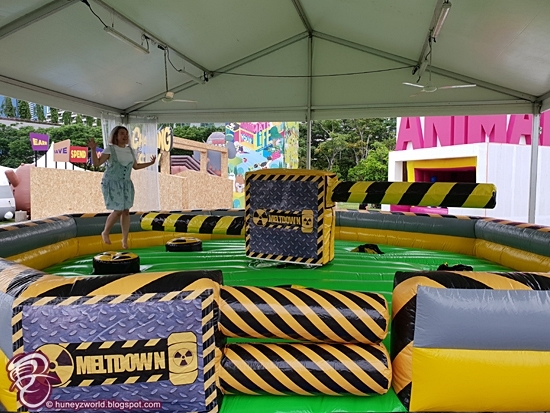 Join in their fight against Mojo Jojo or soar with Bubbles, Blossom and Buttercup on a giant trampoline ride! Cartoon Network has also partnered with local artist group, Band of Doodlers, to create a special Powerpuff Girls tribute. The live installation is already unveiled on Sunday, 27 May and everyone is invited to leave their mark! 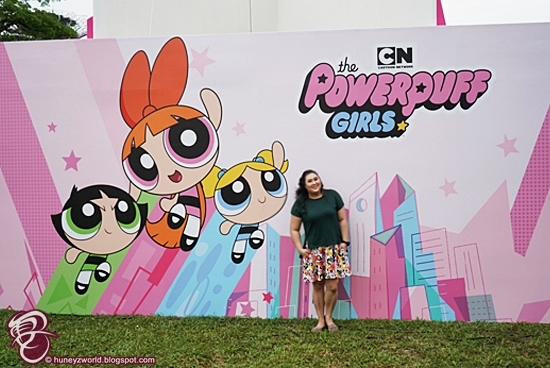 Also make sure to check out the Cartoon Network art gallery, where a series of international artwork will be displayed in celebration of The Powerpuff Girls 20th anniversary. 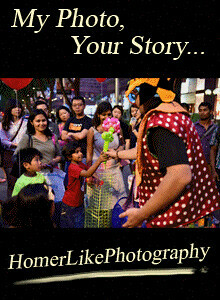 The fun doesn't just end like that, there are tons of other activities around to get you jumping out of bed and Animate Your Life! 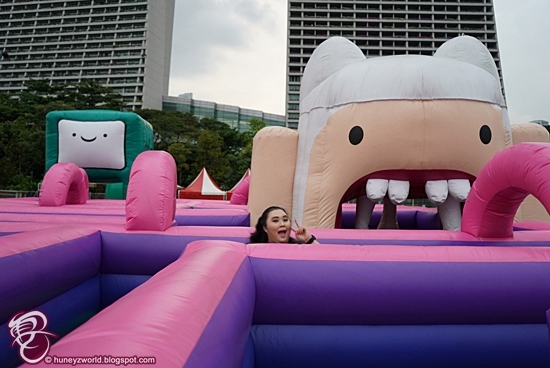 A chance to learn more about Cartoon Network’s first ever branded ship – Cartoon Network Wave. 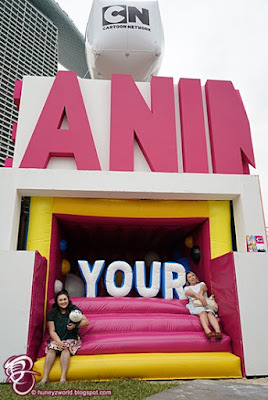 Designed for everyone who's young at heart, Cartoon Network Wave presents an immersive fun zone, giving you the first glimpse of adventures on-board the world's first toon vacation at sea. 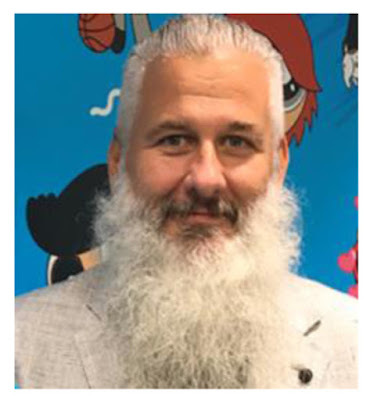 Session to Include: Let creativity run wild with Glenn as he teaches kids how to create their own Cartoon Network characters. Kids will then be given the opportunity to create their own! 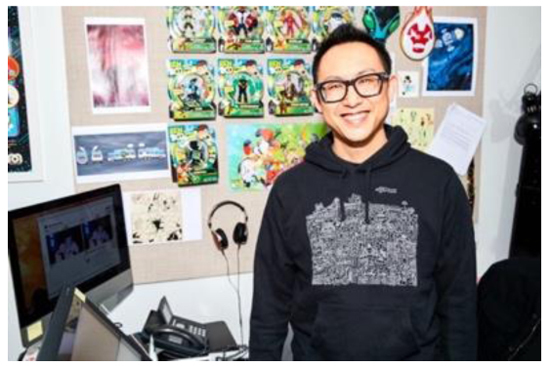 Turtles, The Batman and now Ben 10.
creating your own cartoon series! Session to Include: Kids will learn how to animate people and objects in the surrounding spaces. 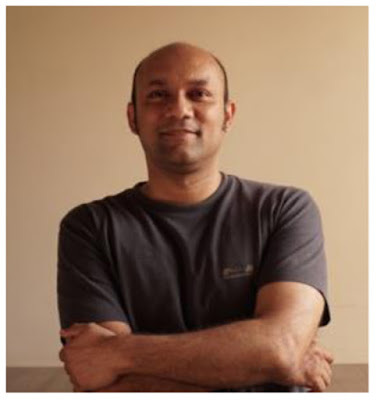 They will also learn the basic dos and don’ts of stop-motion animation. Each full-priced Cartoon Network Animate Your Life child ticket allows one child aged 3-12 years who is a Singaporean resident free entry into either Flower Dome or Cloud Forest at Gardens by the Bay. 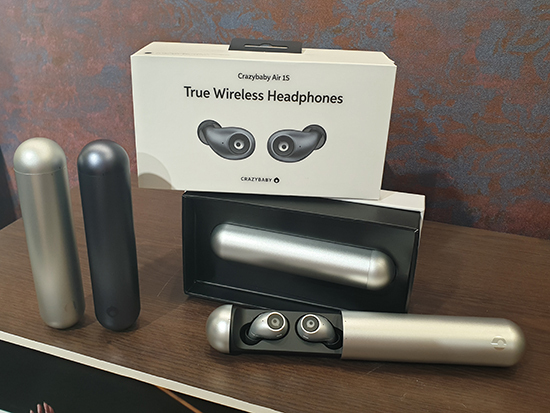 This promotion is valid from 26 May to 1 July. 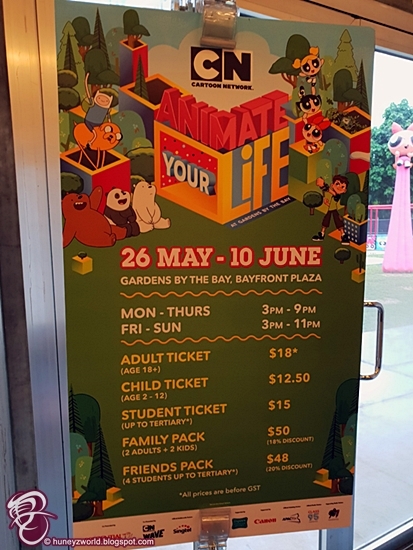 Cartoon Network Animate Your Life will open from Monday to Thursday 3pm-9pm and from Friday to Sunday 3pm-11pm. 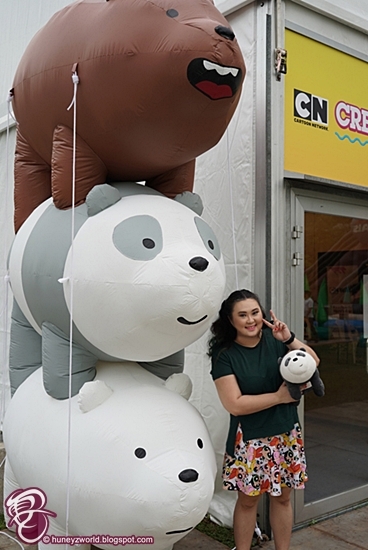 Games, mascot appearances and show screenings are also scheduled throughout the day. 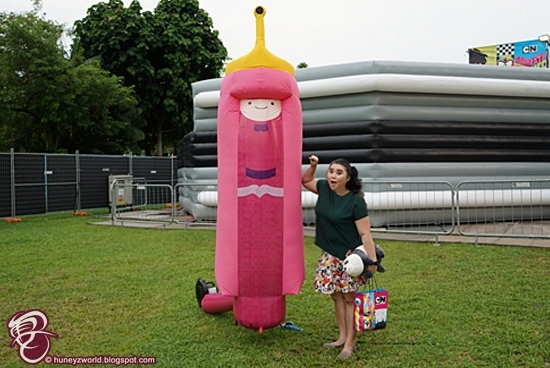 Visit Animate.CartoonNetworkAsia.com for more details and hashtag #CartoonNetwork and #CNAnimateYourLife to share the fun!